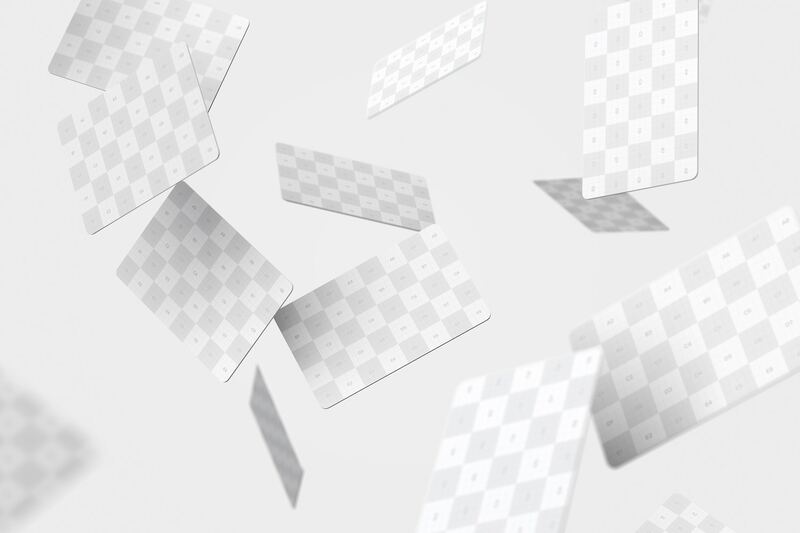 These are the zones where your design will be fit. 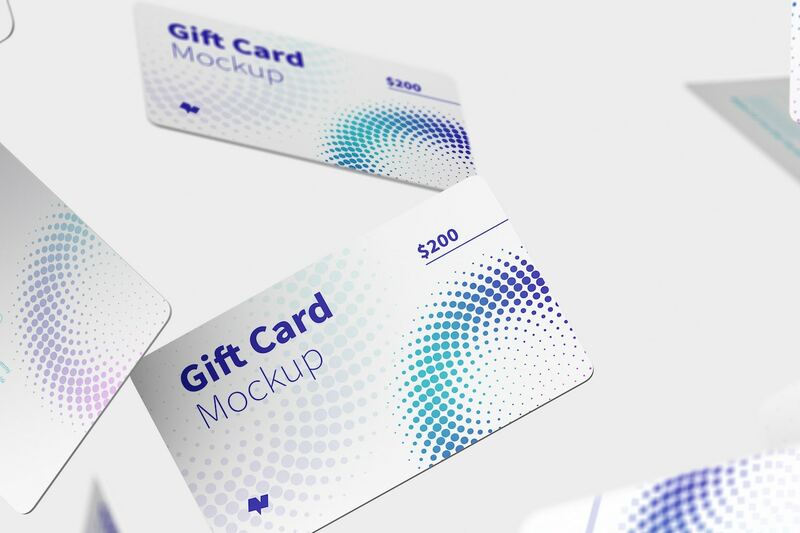 Detail view in quality high resolution. 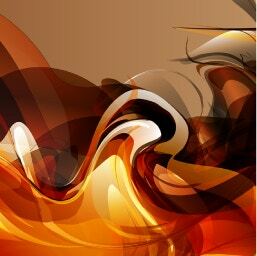 Background color easy to change. 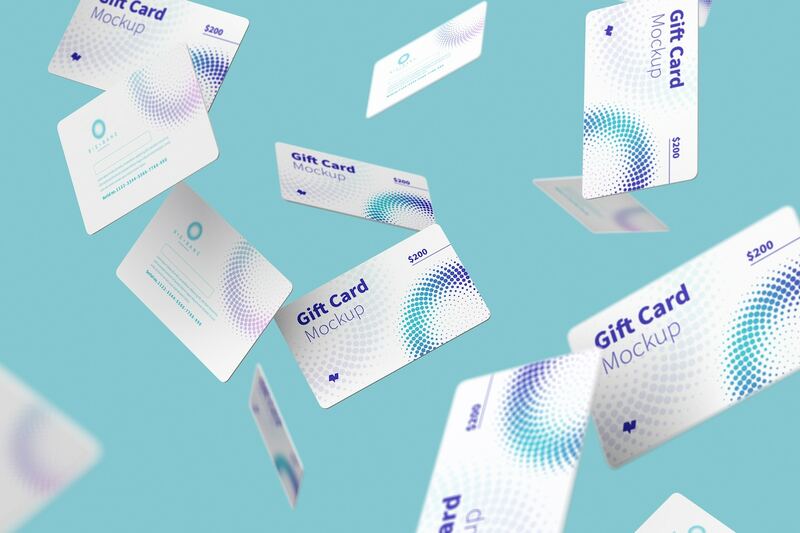 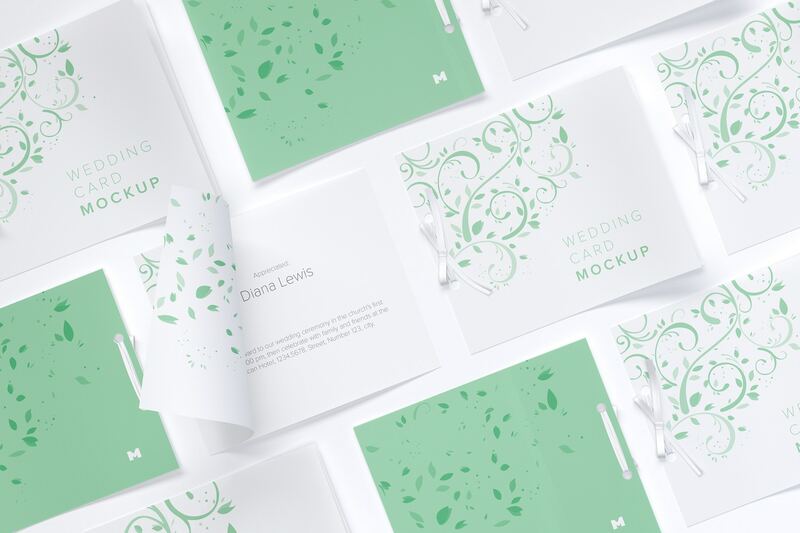 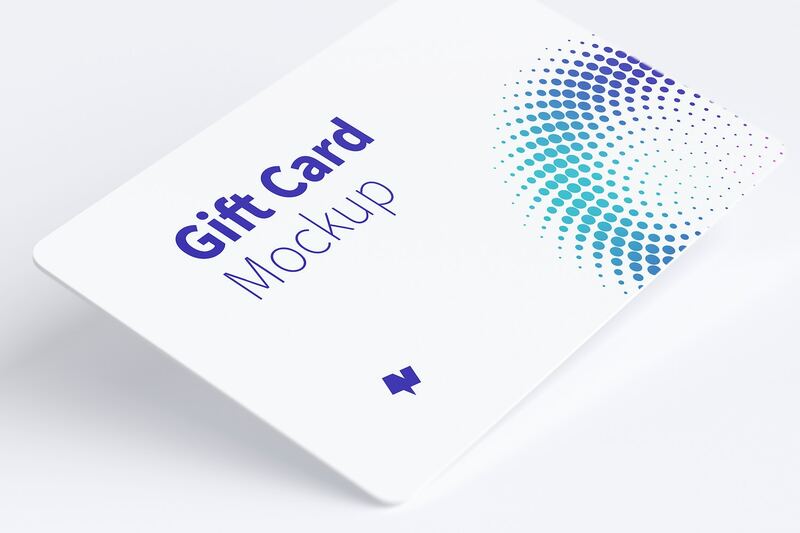 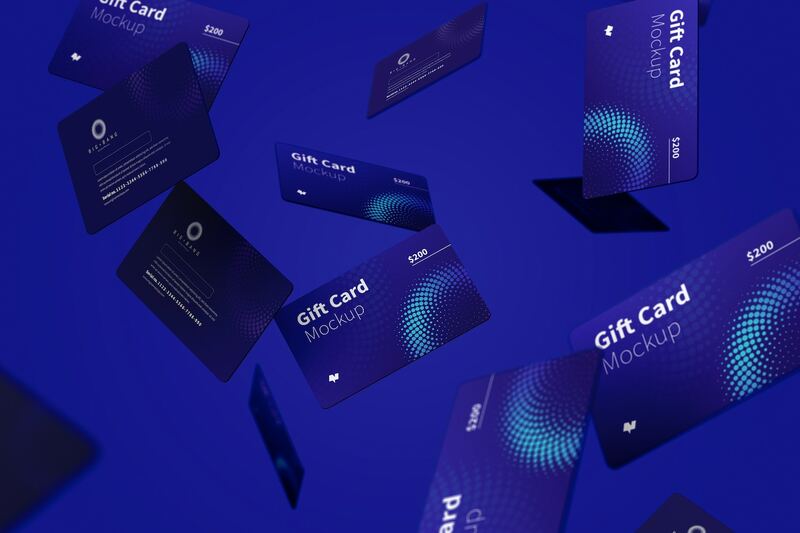 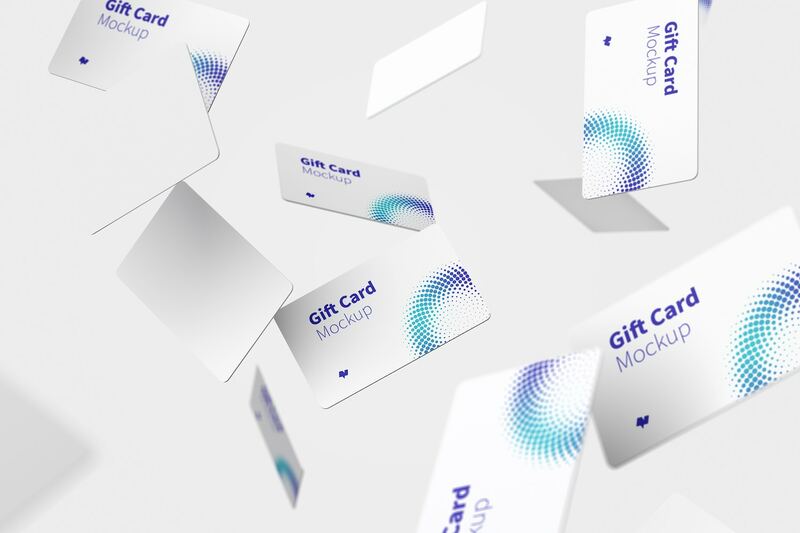 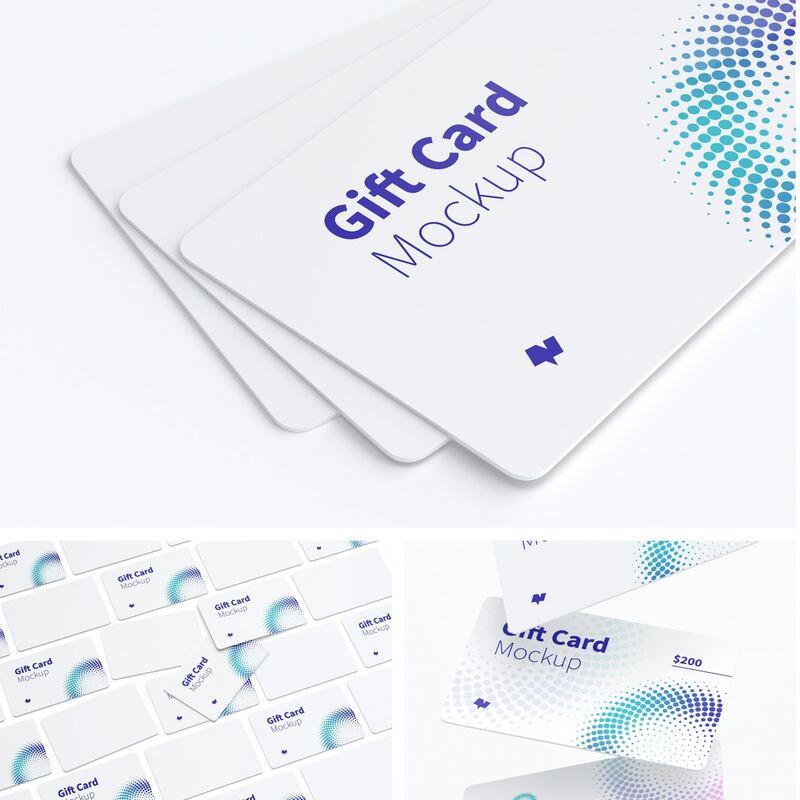 Get an original presentation for a composition of Gift Card Mockups floating made for Photoshop where you can fit easy and perfectly your design using the Smart Objects, that let you edit it with only a couple of clicks. 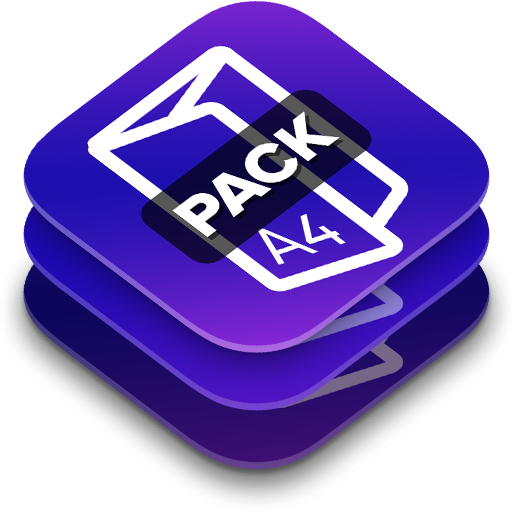 This file is fully customizable so take advantage of it. 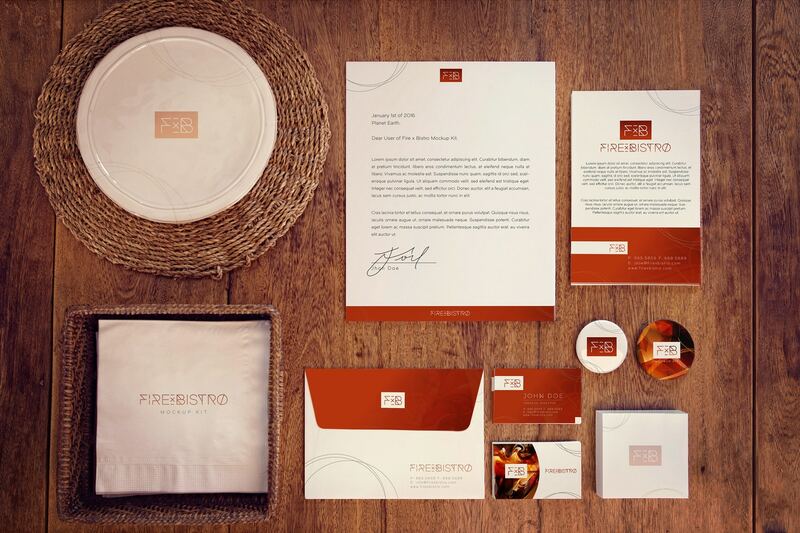 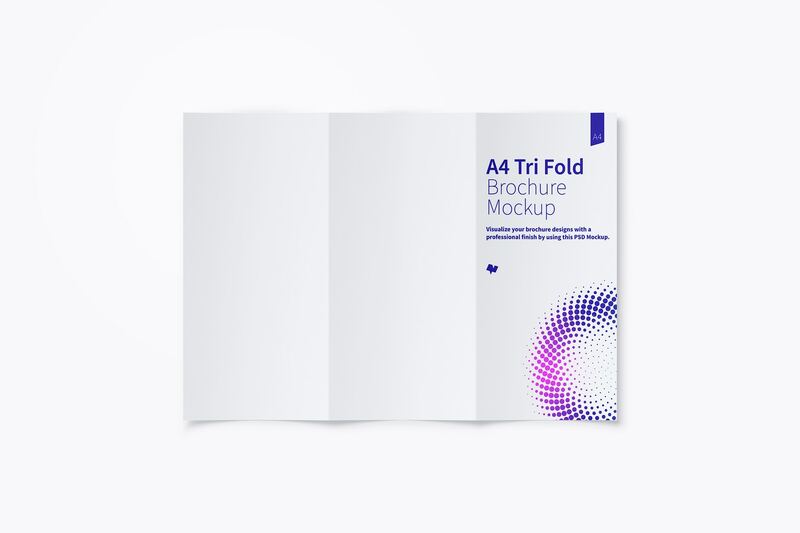 Adapt your design to this 85.60x53.98mm size and make a good presentation for your clients. 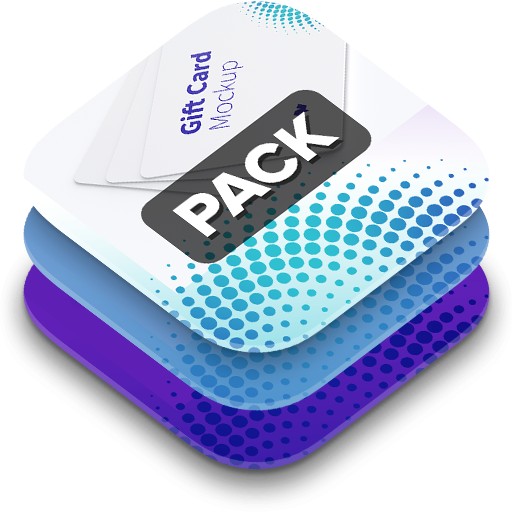 If you want to have another options for your gift card designs take look of the Pack and buy it completely.